Maybe the first step God wants you to take is finding out more about Calvary. Attend a 30-minute Closer Look meeting! Meetings are the 2nd Sunday of each month. Next meeting is April 14th. Two options: attend following either the 9 or 10:30 am service! Childcare: Yes! Check them in on the lower level. 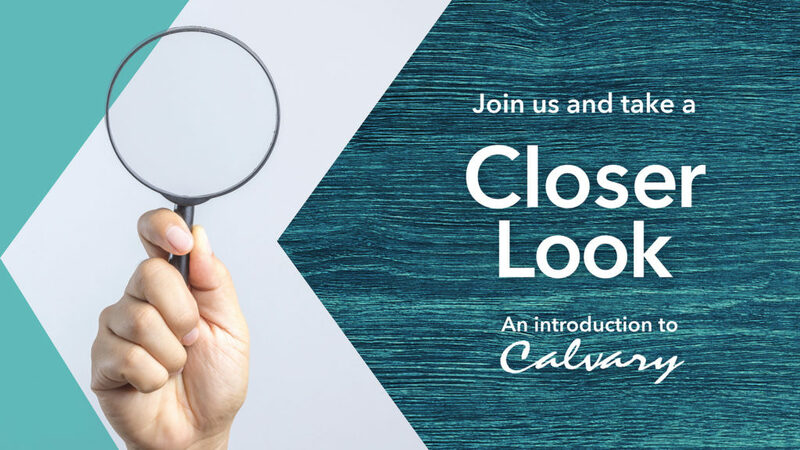 If you’re just getting to know CCC or if you’ve been here awhile and are taking steps to be more involved, this 30-minute gathering will give you a deeper understanding of who we are, information about ministries, and an opportunity to meet our pastors.